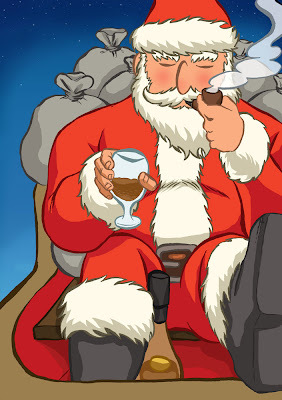 Brendan Halyday's Blog: Santa Claus – Public Health Pariah? 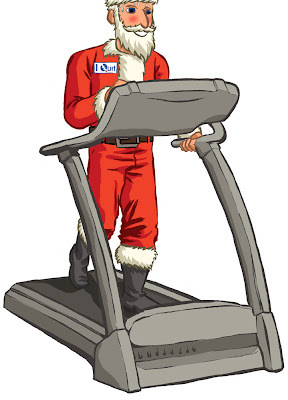 Santa Claus – Public Health Pariah? Well, there's been a bit of a ruckus. I recently did a couple of illustrations published by the British Medical Journal accompanying the article 'Santa Claus: a public health pariah?' by Nathan Grills. It turns out the article has gotten picked up by news services all over the world, sadly often with sensationalised reporting that ignores the fact the article was a light-hearted tounge-in-cheek poke at Santa. Well, i thought i'd post the two images here with a link to an extract of the article. Sadly you can't view the full article online unless you are a bmj subscriber.